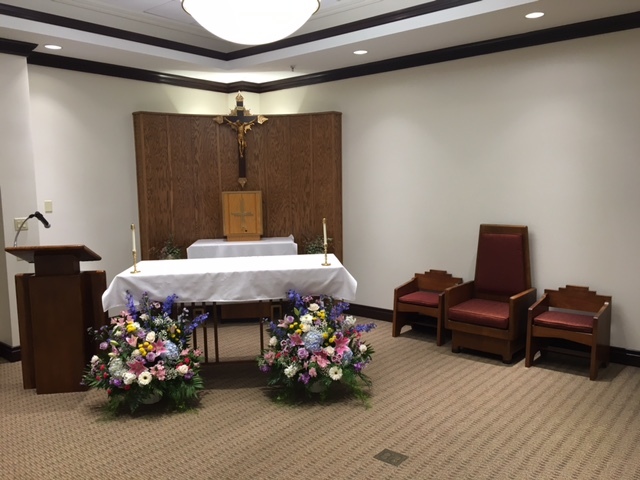 The Chapel seats approximately 70 people with moveable seating to allow multiple arrangements and accommodations. All areas are ADA accessible with the Sanctuary being on the same level as the Nave. Approximately 500 SF of renovations relocated the manager’s office and a kitchen pantry to create a more direct connection with the existing corridor and elevator. 200 SF of new storage space was constructed within the Chapel addition to become the kitchen’s new dry storage pantry with its own direct access. 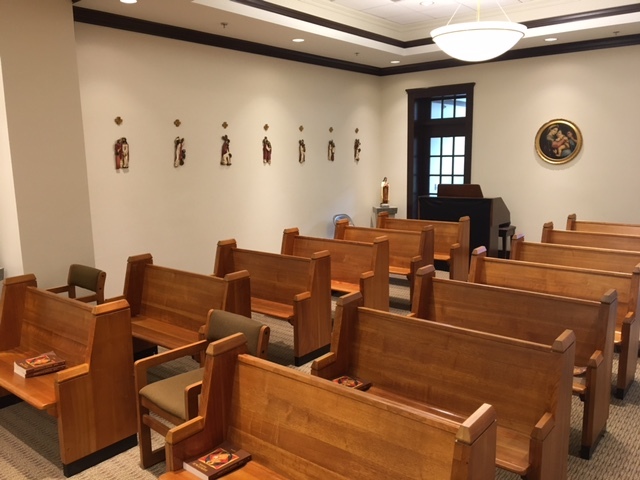 A glass-enclosed walkway at the west end of the Chapel allow a view onto the lawn areas near the sidewalk and provides a protective enclave to the Chapel’s rear entrance. For security purposes the Chapel is only accessible from the nursing home side. There are, however, alarmed emergency exits.